The Golf Tournament for Joseph Ritchie Hospice sponsored by Gardiner’s Furniture was a huge success. Event organizer and St Stephen’s parishioner Linda Mullaney reported that the event raised approximately $32,000 for the hospice, far exceeding the goal of $20,000. Gardiner’s Furniture is sponsoring a golf tournament to benefit the Joseph Richey Hospice on August 11th, 2014. It’s hard to humble an eagle. After all, our majestic species has been the symbol of dynasties, empires and great countries for hundreds of years. But this year’s Cookie Walk has done it—and done it with panache. A tremendous effort and a stupendous success! This year’s Cookie Walk was a stupendous success. Our friends in the neighborhood—new and old—turned out in droves. By the end of the day, with not a cookie left on the tables, the Cookie Walk team had taken in close on $7,700. That’s no small potatoes! What’s more, that figure does not include post–Cookie Walk . . . → Read More: A tremendous effort and a stupendous success! 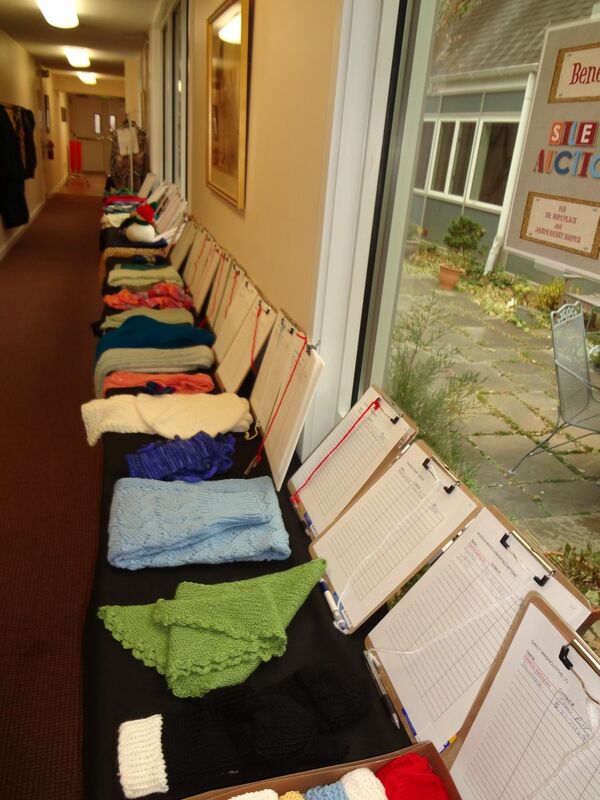 The items for St Stephen’s 2012 Cookie Walk Silent Auction stretch the length of the hallway and around into the lobby. The Joseph Richey Hospice has officially opened Dr. Bob’s Place, its new inpatient hospice facility for children. It is located at 838 N. Eutaw St, Baltimore, MD 21201, in downtown Baltimore, near the city’s pediatric academic medical centers, on bus and light rail lines.